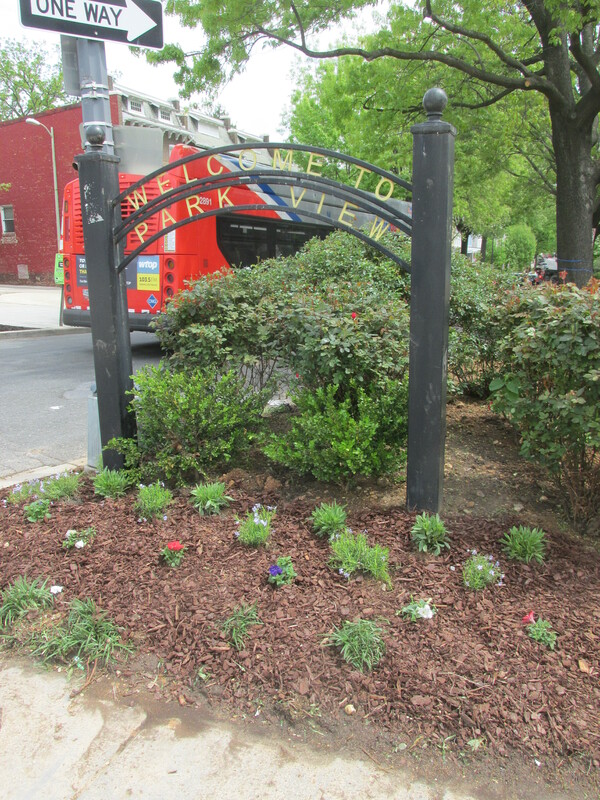 Rain Doesn’t Dampen Spirits as Park View Earth Day Beautification Commences | Park View, D.C. 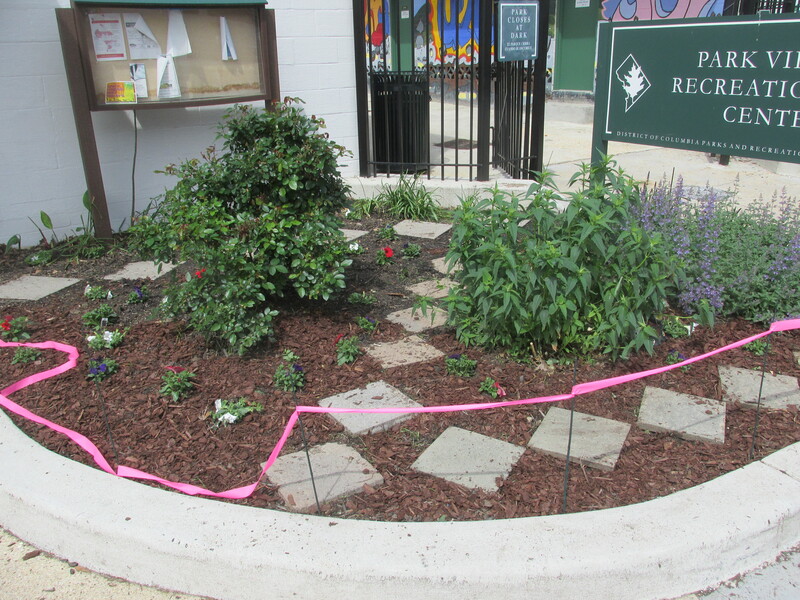 While Saturday’s rain didn’t provide the ideal circumstances hoped for for the Earth Day activities planned by the Park View UNC and Georgia Avenue Thrive, it didn’t prevent volunteers from sticking to the task at hand. 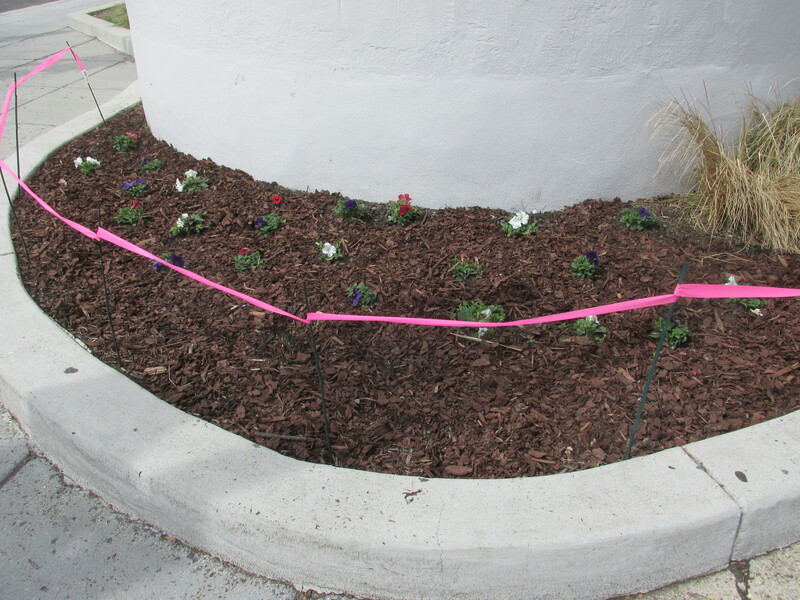 Two areas in Park View were the focus of cleaning up planting beds and planting flowers — the front of the Park View Recreation Center and the garden area around the gateway sign at Georgia Avenue and Irving Street. As you can see from the short video below, this wasn’t entirely an easy task. Below are some additional photos highlighting the results. This entry was posted on April 24, 2017 at 7:01 am and is filed under Community Involvement, Volunteerism. You can subscribe via RSS 2.0 feed to this post's comments.